This is a rectangular Guardian Memorials porcelain sign. This particular Guardian Memorials sign features a cemetery scene with trees and shrubbery against a blue sky. 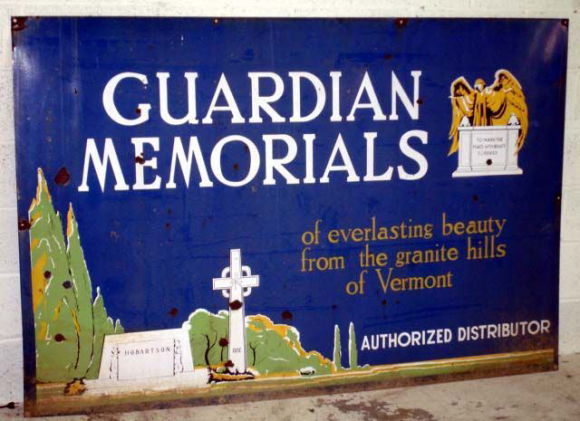 It reads, “Guardian Memorials of everlasting beauty from the granite hills of Vermont, Authorized Distributor”.